That was fast. 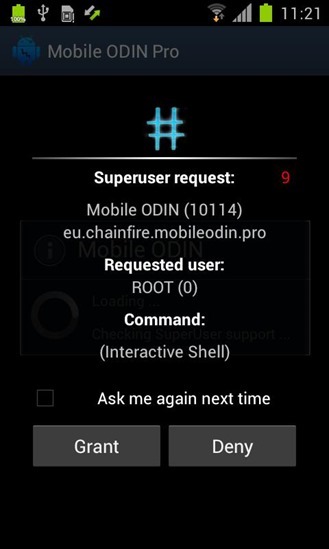 Despite the fact that the Galaxy S5 won't be released for another two weeks, well-known developer and modder Chainfire has already rooted the phone. Well, at least one of the Galaxy S5s (S Fives? 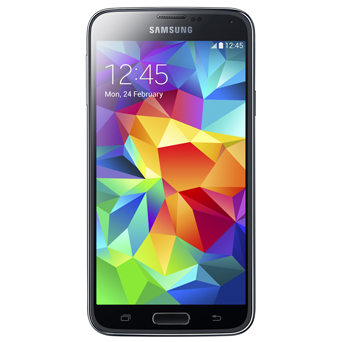 Galaxies S5? whatever), specifically the SM-G900F model, which seems to be the international GSM-LTE version. The root method will probably work with at least some regional and carrier variants. To get root privileges, check out this XDA-Developers post for Chainfire's latest version of the CF-Auto-Root tool, flashable via a PC with Samsung's ODIN tool. At the moment it flashes a temporary modified recovery, then installs the SuperSU app, then re-flashes the stock recovery. The instructions are pretty simple, and should be easy enough to follow for anyone who's had experience with modifying Samsung's Android hardware before. Since CF-Auto-Root uses a modified recovery, it may not work with Galaxy S5 models made for carriers who habitually lock bootloaders and otherwise try to discourage aftermarket mods, like Verizon and AT&T. We'll see when the phone actually gets released. In related news, the Play Store version of the SuperSU app has been updated, presumably to the same build included in the updated CF-Auto-Root. According to the changelog for version 1.94, it also fixes force close issues for some Galaxy Note 2 models. Again, this may or may not need further work to be compatible with the myriad versions of the Galaxy S5 that will be available on April 11th.